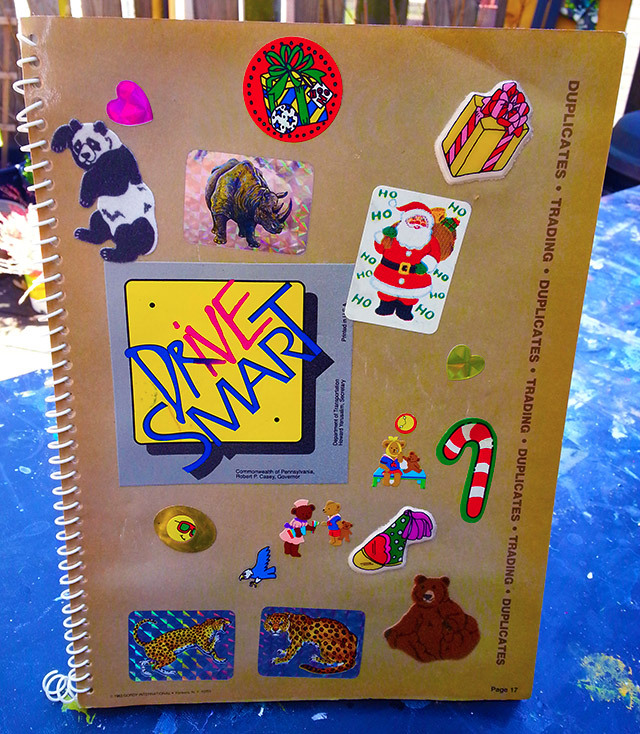 Someone's amazing old sticker album. | Dinosaur Dracula! Someone’s amazing old sticker album. 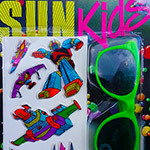 Last July, I introduced you to The Ultimate ‘80s Sticker Album, which originally belonged to a complete stranger. One who really, really liked stickers. 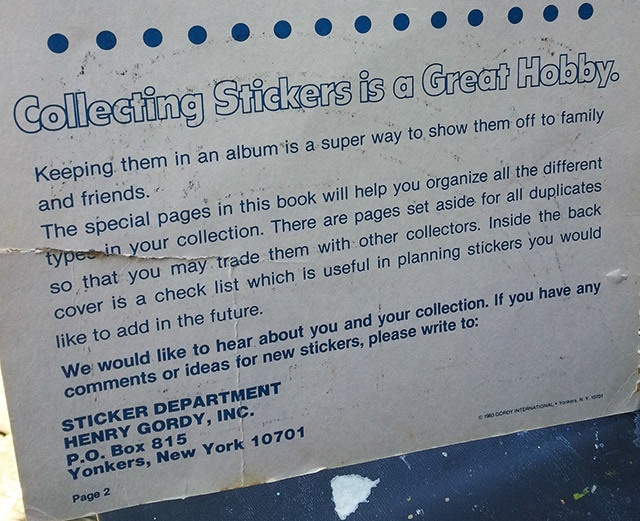 The Official Sticker Collector’s Album was released in 1983 by Gordy International, which certainly had a vested interest in making kids obsess over stickers. 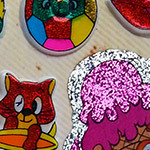 Gordy International was one of its era’s leading sticker companies, offering adhesive versions of everything from legit cartoon characters to anthropomorphized foodstuffs. Fortunately, this album’s original owner didn’t stop at Gordy’s stickers. There’s a little bit of everything in here, hitting so many subjects and in such random order that it almost feels more like a parody of ‘80s stickers albums than a “real” one. What’s more interesting is that the stickers aren’t only from the ‘80s. A few Power Ranger appearances suggest that this album was in use until the late ‘90s. Given that there are stickers here too old for even me to remember, this merits discussion! My best guess is that someone a little older than me started the album, before passing it down to a much younger brother or sister many years later. I’m rather digging the idea of a messy sticker album becoming a family heirloom. This is the sticker book version of the Winslow quilt from Family Matters. 1) It reminds us that Life Savers really did come in “Root Beer.” Wow! 2) The sticker is all torn up, suggesting that the original owner put it in here only after deciding that it should live on the front cover of some ancient notebook. I admire the effort, but the sad state of that sticker proves that you need to choose their homes wisely. My first thought was that the giraffe was Geoffrey’s son — a little-seen “bonus” mascot from the Toys “R” Us of old. Actually, the truth is weirder. 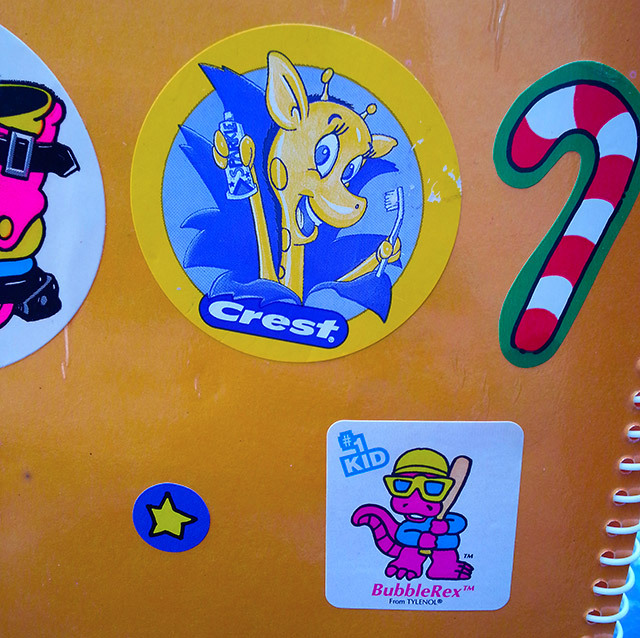 The character on that sticker is Geena, a co-contracted spokesgiraffe working at the behest of tooth-focused companies everywhere. Geena even had her own animated special, which after a quick browse seems to the the perfect thing to watch the next time I take enormous quantities of drugs. Continuing this page’s faint medicinal theme, get a load of BubbleRex, an old Tylenol mascot. I wish I knew more about BubbleRex, because the idea of a pink dinosaur trying to convince kids that Tylenol tasted like candy is exactly the kind of concept that I could raise a cult around. 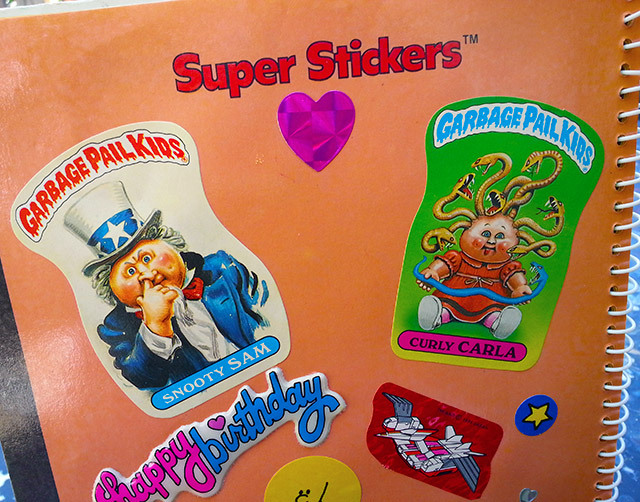 These were the only two Garbage Pail Kids stickers in the album, but at least they’re strong ones. Curly Carla’s roots in Medusa mythology make her my favorite, but there’s something to be said for the simplicity of “Uncle Sam picks his nose.” How did that one pass muster? GPK Kingpin: Okay everyone, let’s hear your pitches. Exec 1: A boy with fifty nails in his head!! Exec 2: A 50 foot baby lizard that stomps cities!! Exec 3: Uncle Sam picking his nose. GPK Kingpin: Since it’s Christmas, I will approve all three. 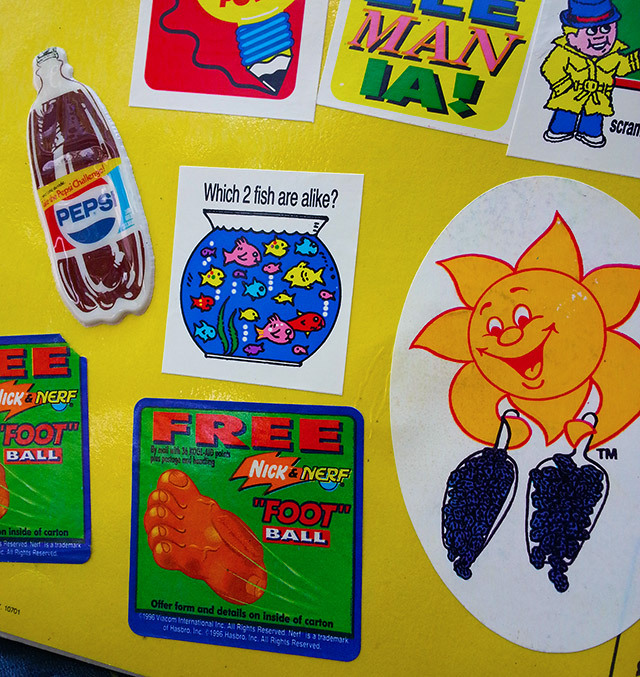 The “Foot” Ball stickers — footballs that were shaped like feet, because Nickelodeon — are from 1996. Meanwhile, the oldest stickers in this book are from at least 13 years prior. I’ve seen plenty of sticker albums before this, but never one that covered such a long span of time. 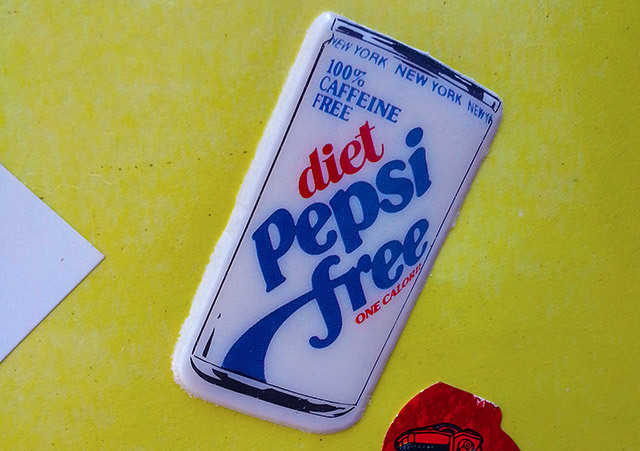 Many of you will recognize Pepsi Free from Back to the Future, but let these stickers be a reminder that Pepsi Free really existed, and wasn’t just some fake brand created for the movies. 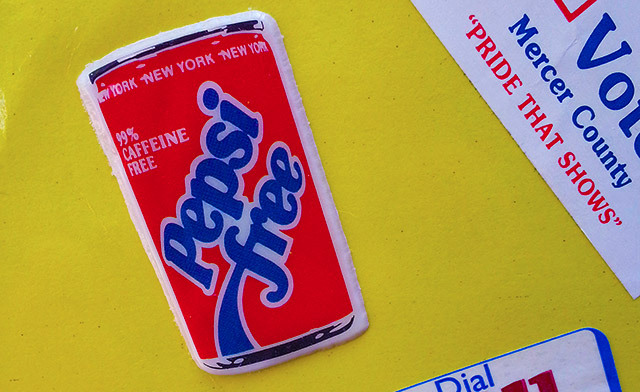 This type of Pepsi technically still exists today, though under a more direct name: Caffeine Free Pepsi. 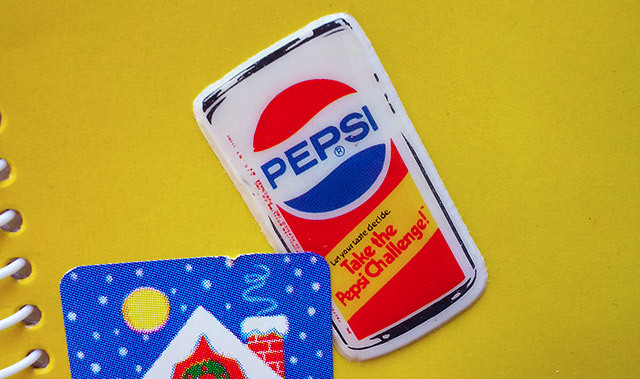 The “Take the Pepsi Challenge” sticker refers to an old gimmick that’s apparently still in use today. 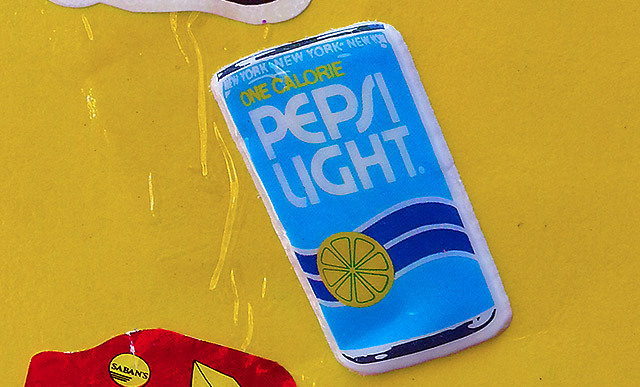 This involved giving consumers blind taste tests, and praying they picked Pepsi over Coke. Unsurprisingly, commercial recreations of such tests always indicated that they did. There’s nothing too noteworthy about this page, but I did want to highlight just how randomly the stickers were inserted. No rhyme, no reason. The sticker placement seems almost intentionally bewildering, as much great art is. Good art makes a statement; putting Santa next to a prismatic rhino makes 30. These pages — technically the first and last pages — weren’t meant for stickers. 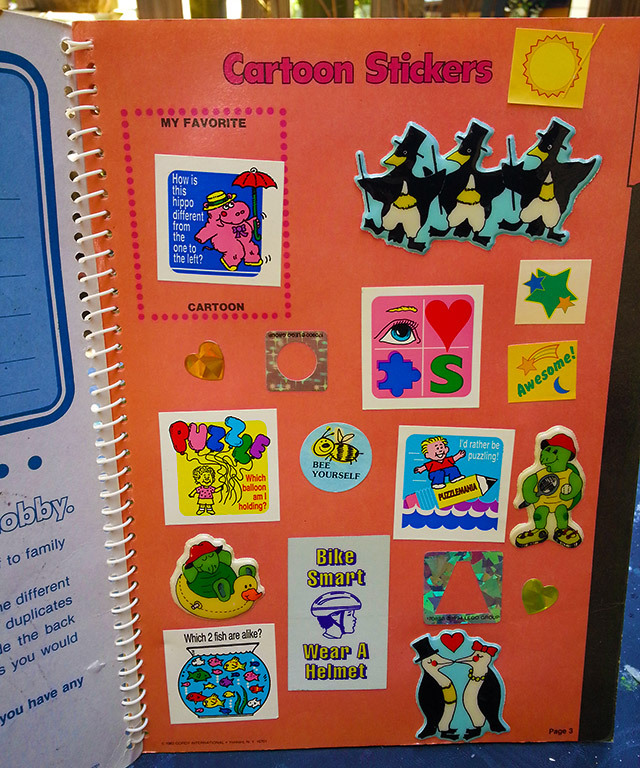 Instead, we’re first given an impressive pitch on why we should maintain a sticker album. 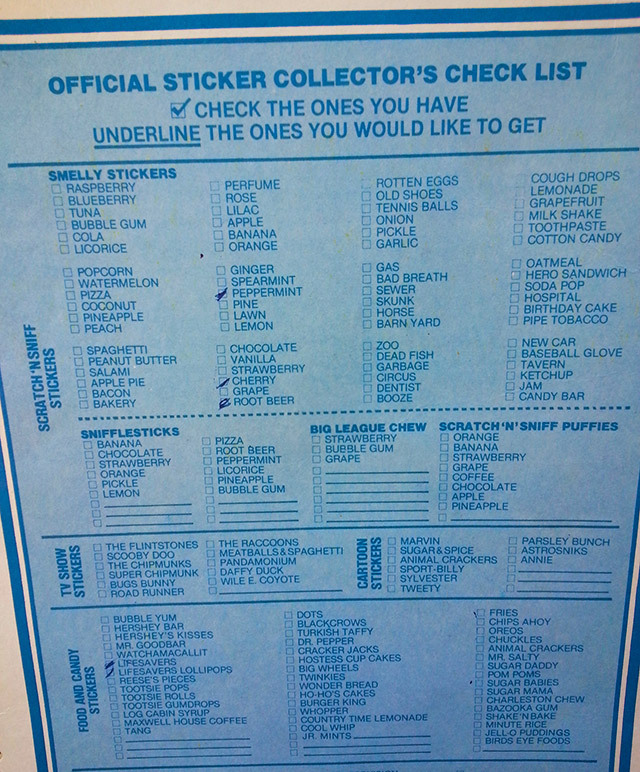 Later, we’re given the means to keep track of our collection, and build our personal sticker wishlists. 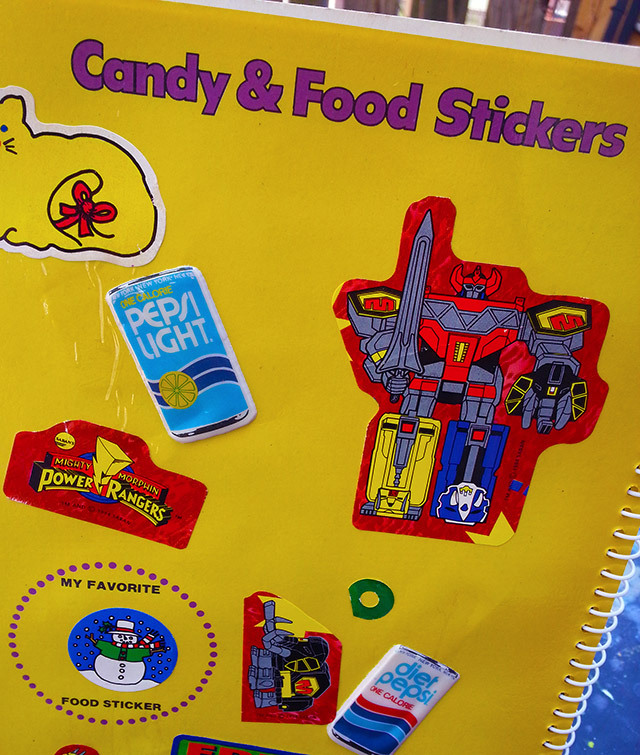 Every kid loves stickers, but these little touches turned hobbyists into fanatics. Look close at that checklist. You’ll spot many stickers that nobody in their right mind wouldn’t take a bullet for, representing everything from “dead fish” to Country Time Lemonade. If every sticker on that list magically landed in my lap, my next article would be filled with so many non sequiturial emoticons. 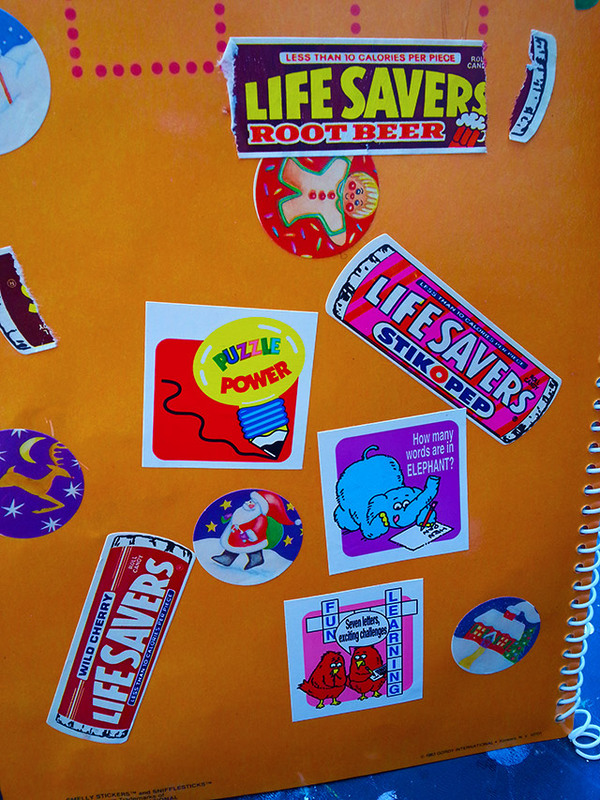 Thanks for reading about another old sticker album. More are coming at later dates. 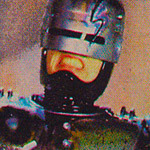 PS: All of the May Funpacks have been shipped, and now that they have, I see that I have enough left for three more subscriptions. If you’re interested, check out the goods. Once they’re gone, they’re gone, and no matter what, this is the absolute last day to sign up for May’s! 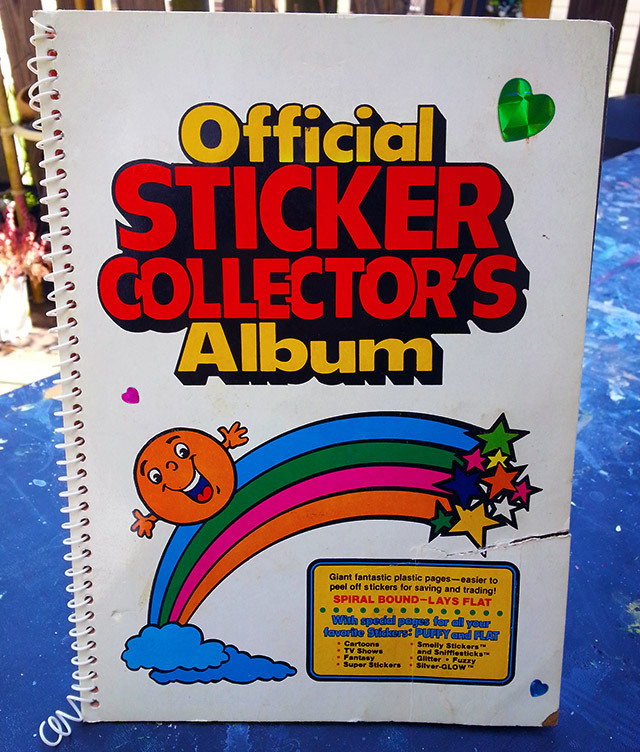 The Ultimate ’80s Sticker Album. 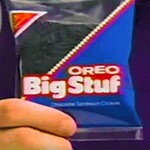 Six Snacks I Want Back, Volume 4! 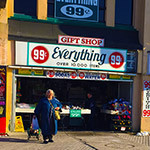 Returning to the Best 99 Cent Store Ever! 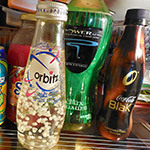 Five drinks that should not be in my fridge.